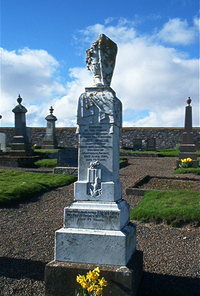 Erected by the family in loving memory of their dear mother. Janet McClean died at Achsynegar Swiney 22nd March 1905 aged 76. Husband George Gunn land steward died at Swiney 16th February 1925 aged 97.